As one of the most consistent and successful athletic program on campus in the last 15 years, the golf program has won 15 ACC championships since 1985, including five out of the last six. 20-year head coach Bruce Hepler has won the ACC Coach of the Year award eight times. They are the current defending ACC champions and have advanced to the NCAA Championship Match Play round — a stage that only eight teams reach — four out of the last five years. The team has consistently been ranked in the top ten nationally over the last ten years and has produced numerous PGA Tour professionals. Last year, the Jackets won the ACC championship and their respective NCAA Regional and finished fifth overall in stroke play at the NCAA Championship before losing to Oklahoma State in the quarterfinals. After losing key contributors in Bo Andrews, Seth Reeves and Richard Werenski to graduation, Heppler was able replenish the talent pool with four talented and highly rated freshmen: Jacob Joiner, Chris Petefish, Michael Pisciotta and James Clark. Led by star seniors Ollie Schniederjans and Anders Albertson, the Jackets were ranked third in the nation to begin the season. According to the Powder Spring native, despite the team’s turnover, the goal is still to win the ACC championship again and contend for the national title. 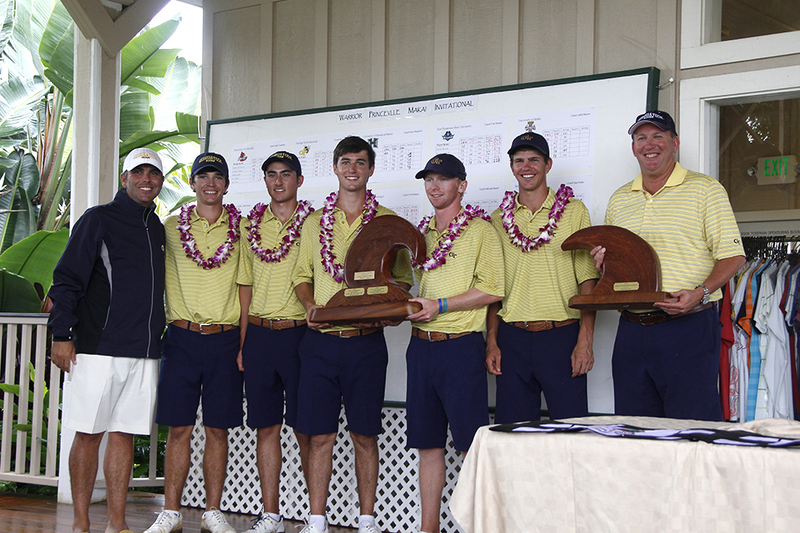 After strong showings in Tennessee and Alabama, the Jackets came back home to host the United States Collegiate Championship at the Golf Club of Georgia, just down the road in Alpharetta. It was the best team performance of the season according to Schniederjans. After the strong finish to the fall season, the team returned in the spring by tying for second place in the Puerto Rico Classic, as Albertson and Schniederjans finished tied for 11th individually. The team is currently ranked fourth in the nation by the Golf Coaches Association of America (GCAA) and sixth in the nation by Golfweek Magazine. “I don’t get caught up in that. I think they’re just regular guys trying to play professional golf just like I am,” Schniederjans said. Playing a sport that requires miles of open space for a university in the middle of Atlanta has its obvious downsides. The current practice facility consists of a small space on 14th Street, jammed between Atlantic Station apartments and the local CBS TV station. The team has to drive a minimum of 30 minutes, often through heavy traffic, to practice on an actual course. “Things really aren’t very convenient right now, especially if you’re having a tough weather day,” Schniederjans said. After watching the football program receive a brand new practice facility, the basketball team receive a beautifully renovated arena and practice facility and the baseball team receive a newly renovated clubhouse, Coach Heppler and his players were finally rewarded with the promise of a much needed expanded practice facility by President Peterson. According to Albertson, the new facility will include a practice range surrounded by a par-three course, which will incorporate putting and chipping greens with different types of grasses. There will be a clubhouse and two hitting bays, with doors that will open to allow players to hit from indoors to the range outside (ideal for inclement weather). Though the new facility will undoubtedly become a huge recruiting point for Coach Heppler, he has done an incredible job of recruiting and developing his players without it. Now in his 20th year on the Flats, Heppler has coached at least two All-ACC players in 16 of the last 17 years and had four All-ACC players from Tech in the same year twice. He has also had two All-Americans in 14 of the last 16 years and three players, Kuchar, Molder and Matteson, have won national player of the year awards. Only one coach has won more ACC Coach of the Year awards and only two coaches have won more ACC titles than Heppler. The success extends off the course and into the classroom: every senior has graduated under Heppler’s tutelage, 12 different Heppler players have been named Academic All-Americans and Tech golf has achieved a perfect Academic Progress Report score of 1000 for eight straight years. “It’s an honor to play for someone who has a great reputation like that,” Albertson said. If this year is anything like the past dozen, Tech fans will see the Yellow Jackets competing for the national championship in Bradenton. Regardless of that result and the results in between, the entire Institute should take huge pride in the fact that Tech has one of the most elite golf programs in the country.